The online gambling industry and online casinos are expanding at an explosive pace. It’s not only because people prefer the medium of the internet for getting entertainment. But also because gambling operators have been exploring different strategies and technologies that can be used to grow it. As a matter of fact, the industry has changed quite a bit from the time it was first launched. To such an extent that it has become practically unrecognisable. The latest business development strategies used in the industry are actually very interesting! No wonder, digital gambling operators are all scrambling to adopt them. Most online casinos advertise on the internet, but some are trying out established media like television. Take the example of Monster Casino. It has recently launched an attractive television advertising campaign. It targets users of land based casinos who aren’t really aware of the benefits of online gambling. This campaign clearly targets an older demographic. The ones that don’t watch a lot of videos on the internet, but would definitely enjoy a spot of gambling online. It has to be pointed out that this demographic tends to have a lot of disposable income. Therefore, it should be included in any marketing campaign that hopes to succeed. Not every casino’s ad campaign is successful, however. StarWins Casino recently ran into a bit of trouble with Britain’s Advertising Standards Authority (ASA). Its television spot supposedly objectified women. Even so, banned ads can still achieve the desired objective. This is because people tend to seek them out online just to see what the fuss was all about. The online gaming industry is also exploring the use of virtual reality technology. It will provide customers with an enhanced gaming experience that is very much like video games. Younger players aren’t too keen to try out new games. They prefer games that are technologically advanced and can give a thoroughly immersive experience. Virtual reality games are expected to appeal to players in the age category of 18 to 34. These players aren’t particularly interested in conventional casino games. SlotsMillion is the first VR casino that offers real money games. It’s success is likely to encourage other casinos to follow suit since millennials have immense buying power. This vertical is expected to grow by 3000% by the end of the next year. The industry will have to develop appropriate hardware and software to ensure that this happens. Digital gaming operators will have to develop new markets in order to expand their businesses and stay competitive. The United Kingdom is one of the biggest markets in the industry and it consists of casino and sports betting. Operators will definitely be able to increase their revenues if they get a foothold in it. For this, they will first need to get the necessary licenses since this is a well-regulated market. However, many offshore companies consider this a worthwhile investment. Soon they will have increased player bases to sustain their growth for the future. 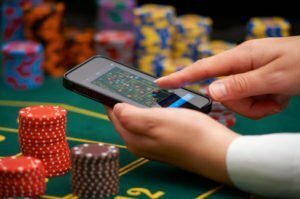 Gambling operators are increasingly coming to the realisation that they have to add online gambling to their portfolios. This will help them remain competitive. Operators can make huge profits from their online casinos because this business has lower overheads than land based casinos. Players enjoy gambling online because this is a safe, convenient, and cost effective option. 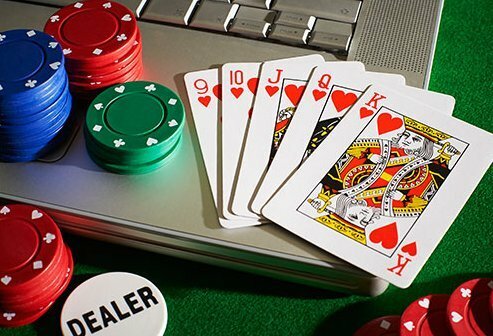 What’s more, many of the misconceptions about online gambling have now been cleared. It is safe to say that the industry will continue to invest in new technologies. This way they will be able to provide customers a reliable and enjoyable gambling experience.